Before building up, you must drill down! Providing drilling services to Auckland and the North Shore, mainly for foundation work and retaining walls, Epic360 provides both the equipment and the expertise to ensure there are no costly mistakes at the first hurdle. Providing a full drilling service, with both the right equipment and the right operator, quality is assured. And with a large, varied fleet, we can ensure a rapid response to any request. Providing a core service of drilling to 4m deep, (which is deep enough for the majority of residential or commercial builds), we can also arrange for deeper drilling if needed. Speak to one of our experienced customer service team who will be able to advise the best depth and equipment required to get the project set. Providing first class customer service from enquiry to project delivery, customer satisfaction is at the heart of everything we do. 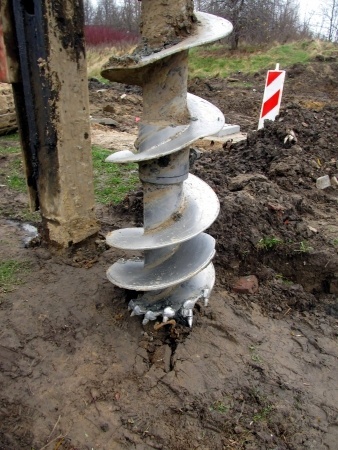 Our equipment allows us to drill through all bases, with a variety of pilot and augers capable of drilling an exact diameter and depth through earth, concrete, bitumen and clay to ensure that the resulting foundation is as solid and exact as the drawing. Drawing from a large fleet, we are able to deal with the more complicated of Auckland and North Shore drilling operations. We have collaborated with a range of developers across Auckland and the North Shore, and have built lasting working relationships; a testament to our professionalism and skill. However, if you are looking for a holistic service that extends to spoil removal, earthworks and even subdivision management, Epic360, with over 30 years of experience providing full construction and excavation in Auckland and the North Shore meaning that the whole project can be handled with one point of contact.